This year has gone by fast and 2011 is almost upon us. Better mark your calendars. But don't mark those important days on just any Calendar. 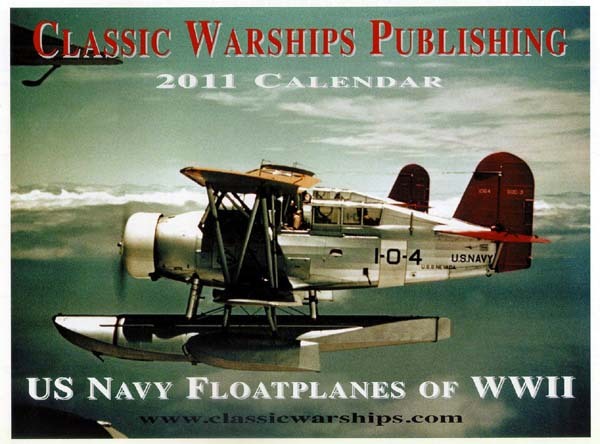 Mark them on this new Classic Warships US Navy Floatplanes of WW2 photo calendar featuring the color photography usually reserved for the Aircraft Pictorials. This one includes 13 months of Floatplanes in rich color. 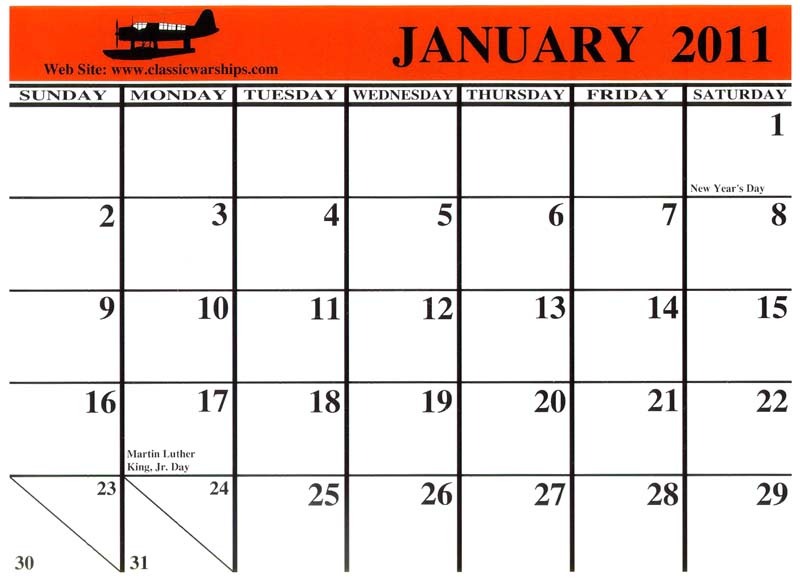 The extra month is January 2012 and will give you a little overlap to plan ahead. 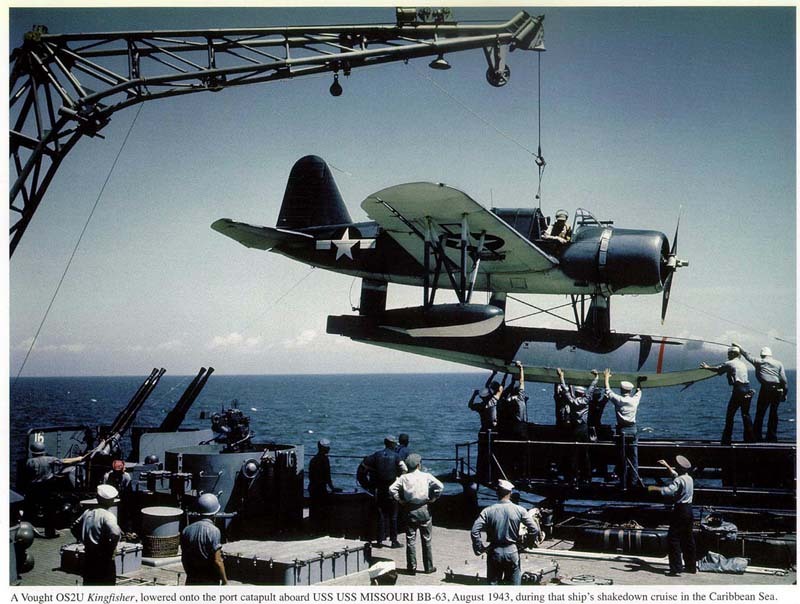 There are a variety of in-flight, and on-deck (or catapult) scenes. Some showing the floatplanes being launched, and recovered. 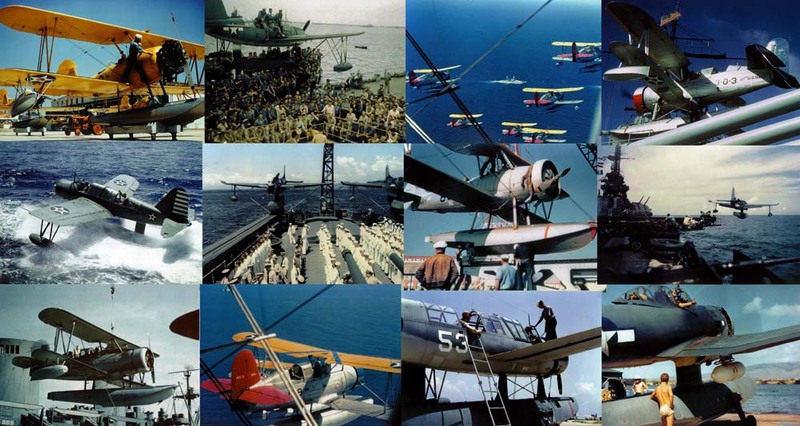 Curtis SOC's in prewar and wartime colors, Kingfishers, and Seahawks even the old Vought O3U-3 Corsair and the rare Seamew are included. Ship modelers take note of the catapult and crane details such as in the Kingfisher being lowered onto the catapult shown on the right. This is a great way to keep track of the days and be inspired with each new month. They retail: for only $12.00 so get one for the modeling room and one for the office. They are available direct from Classic Warships.